If you’ve outgrown the standard kit lens for your new entry-level DSLR, a second lens can add a new dimension to your photography. With a plethora of options available, picking out the right one can be a bit of a minefield, but our best lenses review is here to help. We round up here the big talking points on the 39 lenses that our technicians have tested on the Pentax K-S1. 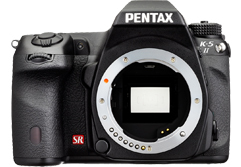 The K-S1 is Pentax’s latest entry-level DSLR featuring a 20.1Mp APS-C CMOS sensor and Anti Aliasing filter simulator. Targeted towards consumers taking their first plunge into DSLR photography, the K-S1 boasts a compact design, flashing LED lights, illuminated rear controls and choice of 12 colours. With the sensor scores in, lets see how the K-S1 compares to the competition.